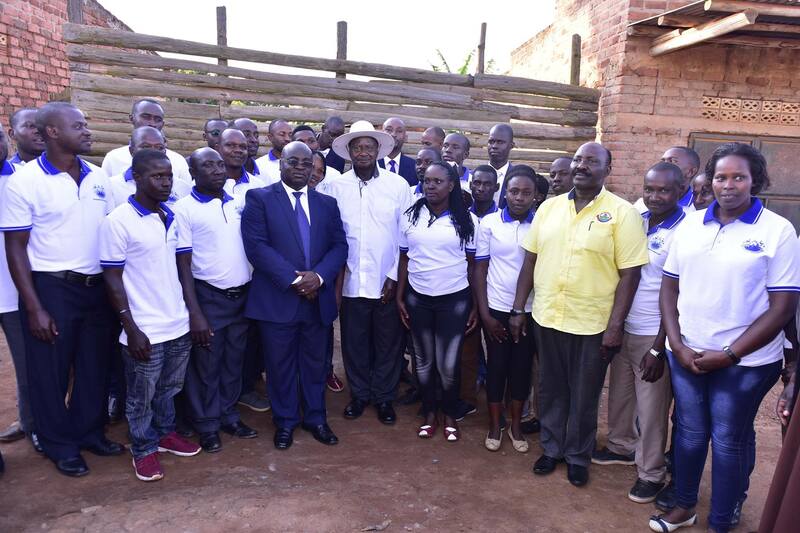 LWENGO – President Yoweri Museveni on Sunday, November 11, commissioned the Kasswa-Senya-Bukoto water supply project in Lwengo District. The project covers 6kms of water mains extension from Masaka town to Busanje and another 11kms from Busanje to Bukoto-Masaka. 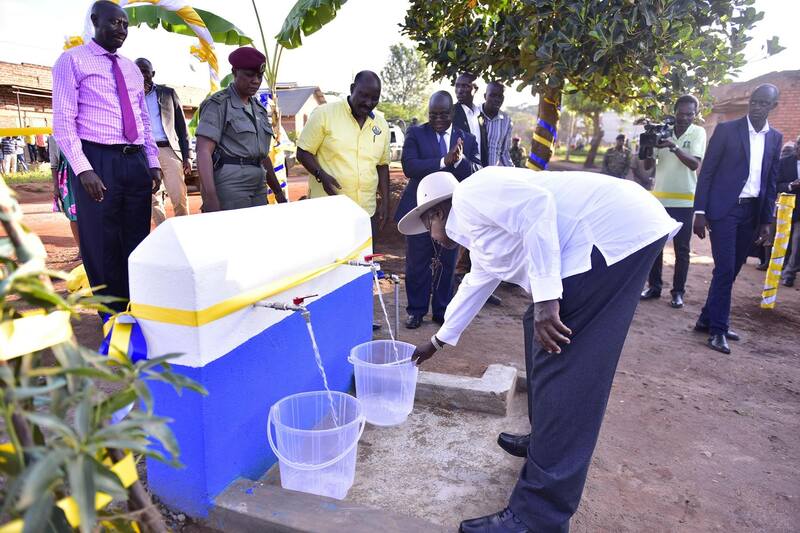 The project has been boosted with a booster station and a 100,000-litre capacity water tank on Masaka-Bukoto hill. A total of 17kms of distribution mains and 25 taps to serve the residents were also constructed. In his address, the President commended NWSC and the area leadership for the successful completion and supervision of the project. “I am happy to learn that my people in Bukatata, Kaswa and the surrounding areas now get clean safe water. I urge NWSC to continue extending water to more people,” he said. extension project ongoing across the country. ” We are happy with this project. Access to safe clean water will improve the lives of our people,” Mr Mbabali said. NWSC MD Eng Dr Silver Mugisha said that the corporation has expanded its service footprint from 24 to more than 240 towns of operation in the last four years. “We are aggressively extending our network to serve more people in all our areas of operation,” Dr Mugisha said. In addition, 140,000 new water connections, 20,000 public standpipes and over 8,000kms of water mains extensions will be installed by 2020 under the SCAP 100 programme. In a bid to improve sanitation, the Corporation is working on the largest Sewage Treatment Plant in East and Central Africa at Bugolobi with the capacity to generate 630kw of power from Biogas, serve a population equivalent of 380,000 people and treat over 45million litres of wastewater from Nakivubo channel and Kampala city. “We shall not rest until we achieve 100% service coverage in Uganda. Our commitment towards service delivery is total,” Dr Silver said.